Provincial Legislation requires that the municipality bill and collect taxes on behalf of the Province and local School Division #40 & #43 for education purposes, as well as municipal taxes in order to provide essential services to the Municipality. Taxes are calculated from January – December, with the due date being October 31st of each year. In Person: Payments of cash or cheque may be made at either Municipal Office. Please note we do not accept payments by credit card or debit card. Mail: Send a cheque or money order payable to the Municipality of Oakland-Wawanesa along with the bottom detachable portion of your tax bill. The envelope must be postmarked by Canada Post on or before October 31, to avoid penalty. Post-Dated Cheques: Post-dated cheques dated for the due date or earlier are acceptable. 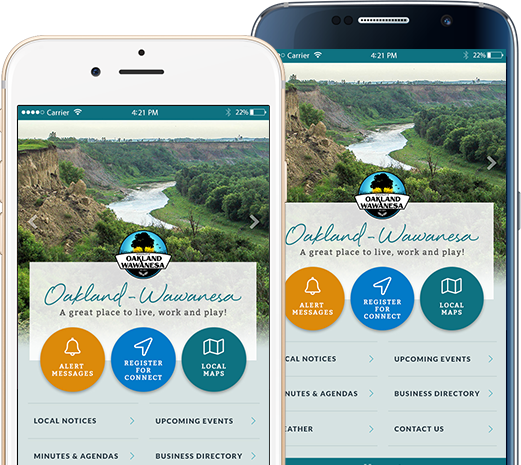 On-Line - Most financial Institutions now have the Municipality of Oakland-Wawanesa available for on-line payments. Please contact your bank to see if this option is available to you. Account numbers are listed on the top of your utility bill, and for taxes please use your 6 digit Property Roll Number. 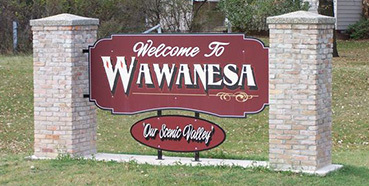 Please Note: Roll Numbers have changed for the Village of Wawanesa due to the amalgamation. The Municipality of Oakland-Wawanesa does not offer any discounts for pre-payment of taxes. Penalties on amounts left outstanding after October 31st are calculated at 1.25% per month. Changes have been made by the Province of Manitoba to its Education Property Tax Credit (EPTC) program effective for the 2019 tax year. The EPTC is entirely funded by the Province. Through this program, residential property owners could receive an education tax credit of up to $700.00 annually on the tax bill for their primary residence. In previous years, the calculation to determine the amount of this credit was based on school tax, and if necessary, included a portion of municipal tax, to achieve up to the maximum credit of $700.00. Effective for the 2019 tax year, the calculation will be based on school taxes only. The Province of Manitoba has set up a toll-free telephone number that can be called if you have questions on the EPTC changes. That number is 1-800-782-0771. The Manitoba government is offering a rebate of up to 80% of the school taxes levied on your farmland for 2016. The Farmland School Tax Rebate reduces the net school taxes paid on your farmland. Your application for the 2018 tax year must be received by MASC by March 31, 2018. If you are a Manitoba resident who owns farmland in Manitoba and you paid your 2018 property taxes, you may be eligible for the rebate. The rebate applies only to the school taxes assessed on your farmland and does not apply to residences or buildings. If you received a rebate for 2017, a 2018 application form was mailed to you. You can also download an application form from masc.mb.ca or pick one up from your local Manitoba Agricultural Services Corporation (MASC) office, Manitoba Agriculture office or municipal office. If you’re 65 or older and own your home, Manitoba’s new Seniors’ School Tax Rebate could mean savings for you. This year, seniors who own their home can apply for a Rebate of up to $470. These savings are on top of up to $1,100 in Education Property Tax Credits already in place. You can apply for the Rebate as soon as you receive your property tax bill. It is important that our office be notified as soon as possible whenever there is a change of address to ensure that the tax statements are properly forwarded to the property owner. Failure to receive a tax statement does not excuse an owner from not paying the tax account by the due date or associated penalties. Property owners who disagree with the assessment of their property should contact the Assessment Branch to discuss their concerns with an assessor. If the property owner and the assessor are unable to agree on the value of the assessment the property owner has the right to appeal the assessment to the Board of Revision. The Board of Revision is composed of the Municipality of Oakland-Wawanesa Council. The Board sits annually, usually in October of each year to hear appeals. Applications for appeals can be filed at anytime but must be filed with the Municipality of Oakland-Wawanesa at least 15 days prior to the sitting of the Board. Contact the municipal office for this year’s date. 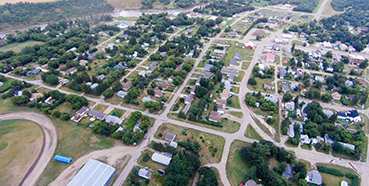 Assessment figures are public information and available for viewing at the municipal office or you can also search property assessments online, on the Province of Manitoba website. 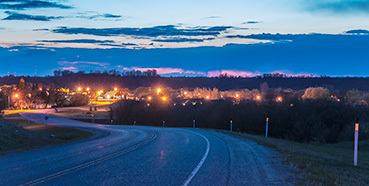 Although assessment figures are available, tax amounts are not public information and only given out to the landowner, unless a tax certificate is requested which has a fee of $25.00/property. 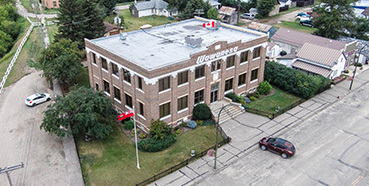 Inquiries – Questions regarding your assessment should be directed to the Provincial Municipal Assessment Branch at 340 – 9th Street, Brandon, Manitoba R7A 6C2 or call 204-726-6001.